Look for 1 auto, 1 memorabilia, 1 printing plate, 1 parallel #'d /50 or less, and 1 base card per box on average! 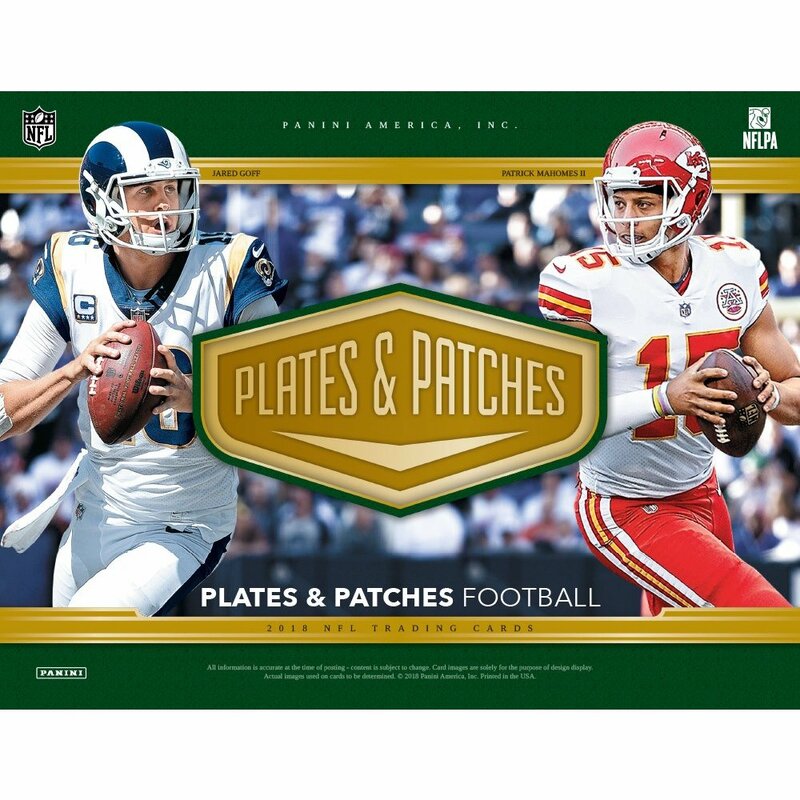 Plates and Patches returns for the 2018 NFL season! This one-pack box delivers some of the most beautiful photography and premium autograph/memorabilia content of the year! Plates and Patches has six unique on-card autograph inserts! Look for the debut of the photo-driven Leaps and Bounds that features players diving all over the field! Find super-sized patch content throughout Plates and Patches! Seek the stunning Full Coverage inserts that feature a memorabilia swatch that covers nearly the entire card!